RACE Institute provides coaching classes for Bank exams like IBPS PO, IBPS SO, SBI PO, SBI SO, IBPS Clerk, SBI Clerk, Private Bank, Insurance organizations etc. We have Bank Coaching in Tirunelveli to help candidates in Tirunelveli with their preparation for upcoming Bank Exams. 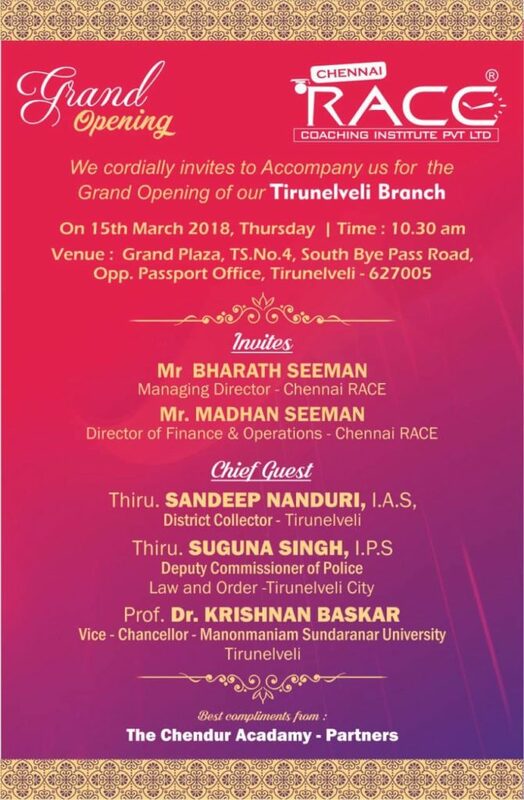 RACE Institute has Bank Coaching Institute in Tirunelveli at South by-pass road (Opp to Passport Office). With the flexible batch timings that suit every aspirant and an excellence course content to gauge various Bank Exams, RACE Institute is a trendsetter in Bank Coaching in Tirunelveli.